Kathy and I have a lot in common. We’re both from Mississippi. We both live in Tennessee. We are both grandmothers. (Random but cool, right?) We both started our blogs in 2007. We met at the first Creative Nonfiction Workshop held in Oxford, Mississippi, back in 2008. We have since then directed CNF workshops and co-directed the CNF Conference with Neil White in 2010 and 2013. We both write and publish personal essays. But here’s where Kathy’s experience differs from mine. She lost her husband suddenly and unexpectedly. Her “grief writing” is full of clarity—of emotions and thoughts and words beautifully crafted to express those emotions and thoughts. Her “Open Letter,” which she wrote to her husband after his death, was published in The Best Creative Nonfiction, Volume 3, edited by Lee Gutkind, in 2009. This same essay appears as a chapter in her book, Remember the Dragonflies. If you are trying to write memoir or personal essays, both of these books are for you. If you lead writing workshops, you might want to check out Phifer’s writing guide, whether or not you follow it exactly as it’s laid out. There are lots of terrific writing exercises for personal or group use. Grief is more like a maze of emotions than a road that runs straight from town to town o from the bottom of the valley to the top of a mountain. Just like in a maze, I moved forward a bit, ran into dead-ends, and then turned back and traveled over the same route until I found light at the end of the tunnel…. Grief is a journey to a new configuration of life. 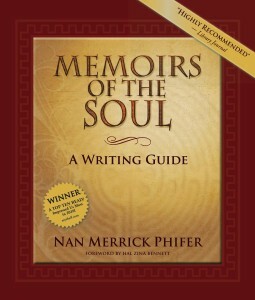 This book will enable you to record the voyage, not of your ego, but of your soul…. Unless you reveal the feelings and thoughts you had when you were filled with love, grief, satisfaction, longing—the great sweep of feelings that shaped your soul—few people will ever truly know you. Grieving or not, isn’t that something we all long for—to be truly known? Kudos to both of these women for their wonderful literary contributions to our soul journeys. Susan, thank you for these recommendations since I write memory and teach workshops. I will be checking these out. Thanks for reading, Mary Ann! Beautiful. 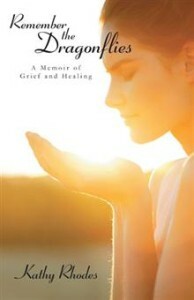 I’m also excited about Jessica Handler’s book on writing about grief coming out later this month. Yes Nina… I was thinking about Jessica’s book as I wrote this post!